My Year in Books is a pretty fun look at how weird my reading habits are. In cleaning up my Goodreads tagging, I realized I’m not as far behind as I thought I would be. It seems like I was bad at adding finish dates, whoops. Glad to know I hit last year’s total. I won’t exceed it as I’m in the middle of a longer book and don’t have enough reading time today and tomorrow. #librarylovechallenge: 30. Just shy of the 36 I wanted, but when you add in Kindle Unlimited (9) and NetGalley (19) I feel like that’s similar so while I fell short, I still accomplished the goal of reading more borrowed/free books. I think I’m going to do this one again, despite what I said about only doing backlist. 19,723 pages. This is a decline. Lots of shorter books this year. But books are books. Judgement free zone. I fell short, landed between bonsai and shrub. My TBR is out of control at 379 so a backlist reader challenge is a necessity. 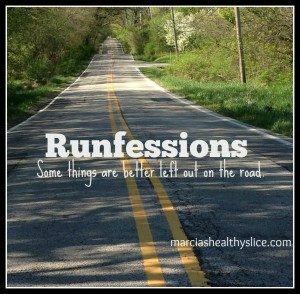 This is in part, because Liz, a wonderful person who I’ve known through BookCrossing for a decade or more, introduced me to the amazing Runners’ Bookshelf and so many ideas come from there. Santa only gave me one book this year, Cy Adler is the man who founded the Great Saunter. Liz Claus is responsible for the two running books as well as Iris Murdoch to lure me into a wonderful challenge she’s hosting. Can’t wait. 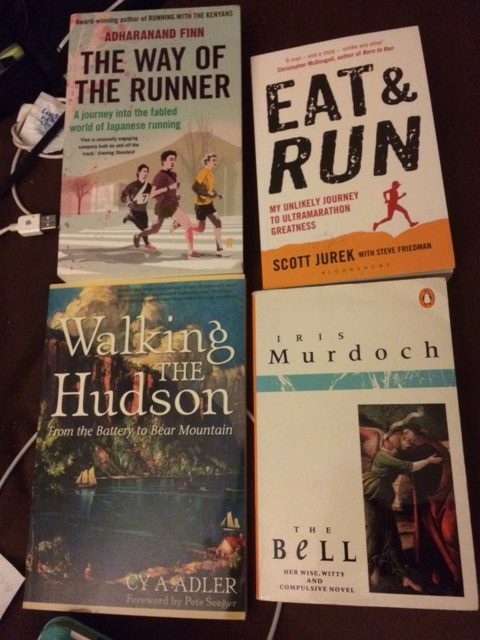 Because I’m “blaming” running for my lack of reading, I really should find a running, reading challenge. 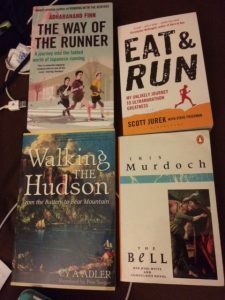 In the mean time I’ll settle for at least one on the 2018 Taking the Long Way Home book club list and one of the books of the month in the Runners’ Bookshelf. 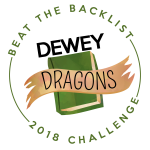 #BeatTheBacklist, I love the fun, team element (love that I’m a Dragon!) and it’s not overcomplicated the way some of them are. I can’t commit to 12 books now because that will do nothing but ensure I don’t read those 12. What can I say, I know me. Goodreads shelf. Here’s to a year full of words. 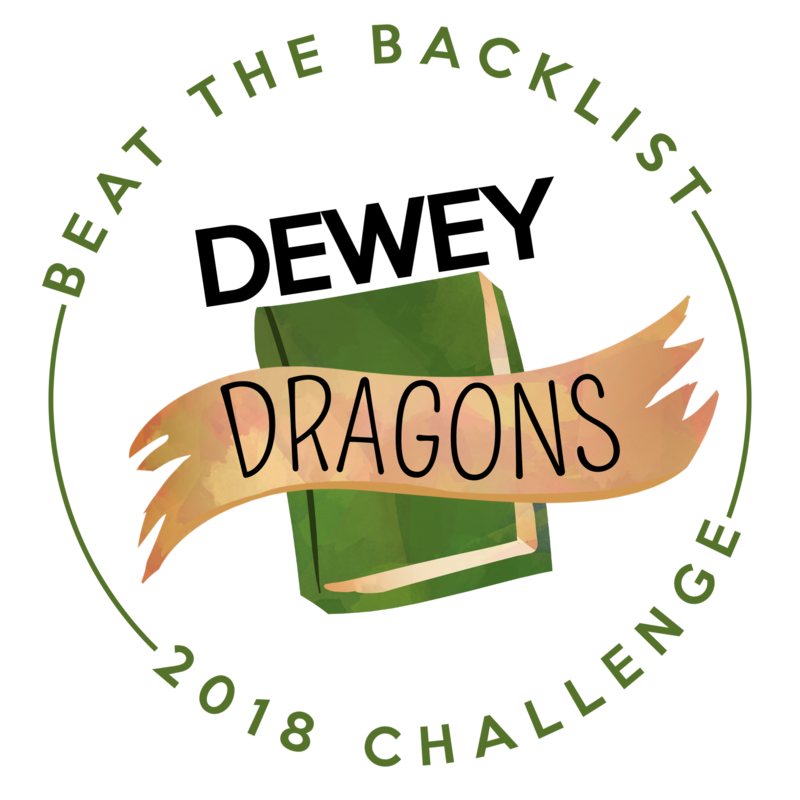 Glad to see you joining the Library Love Challenge for 2018 and you can work on those backlist books on your TBR, by looking for them at the library ^_^. As for audiobooks you should give them a try. I dived into them in mid-Sept and am hooked. 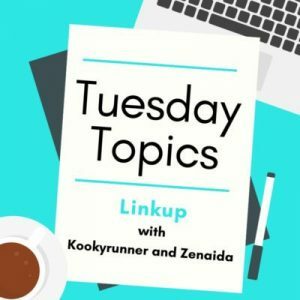 I can do more things, like take a walk, run, clean, or work on the blog while listening to a great book on audio… Another thing to take a look at, at your library ^_^. Yes, Audios are worth exploring. Download the OverDrive app and Hoopla, both are for the library. You might find a book one and not the other. I search both when I’m looking for a book or I check my libraries website. Mwah hah hah … Hope you do join in the Iris Murdoch challenge, it’s super-relaxed, I don’t mind how many of the books people read! I’m just glad they all got there OK! And thank you for the (more) books that have travelled in this direction! Happy 2018 reading. I’m only doing my own challenge, plus husband I want to read Alan Moore’s “Jerusalem” and I also will do 20BooksOfSummer because I just read TBR stuff for that anyway. I need to look into your summer challenge. It always piques my curiosity, but I forget to look further. 1200+ pages. That a book or an encyclopedia? 🙂 I always liked those tomes for page challenges, but the rise of Kindle Singles and the like keep my totals up, so win win?